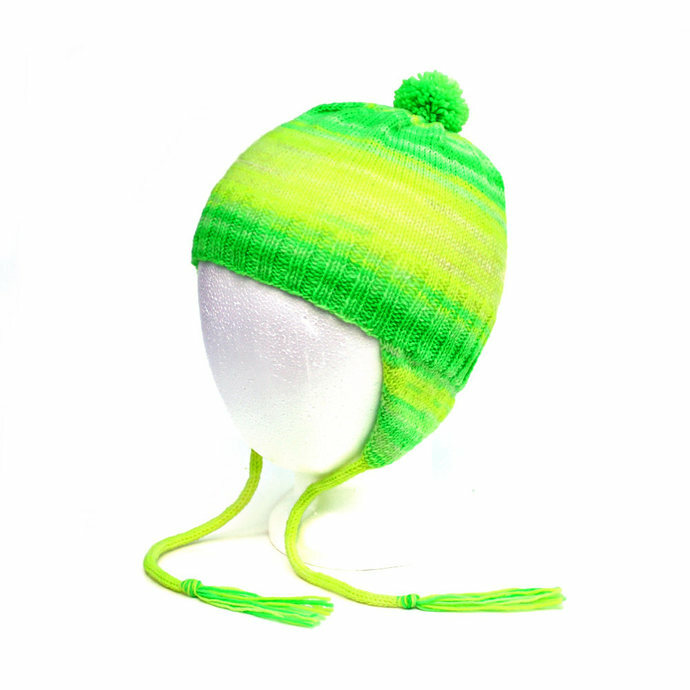 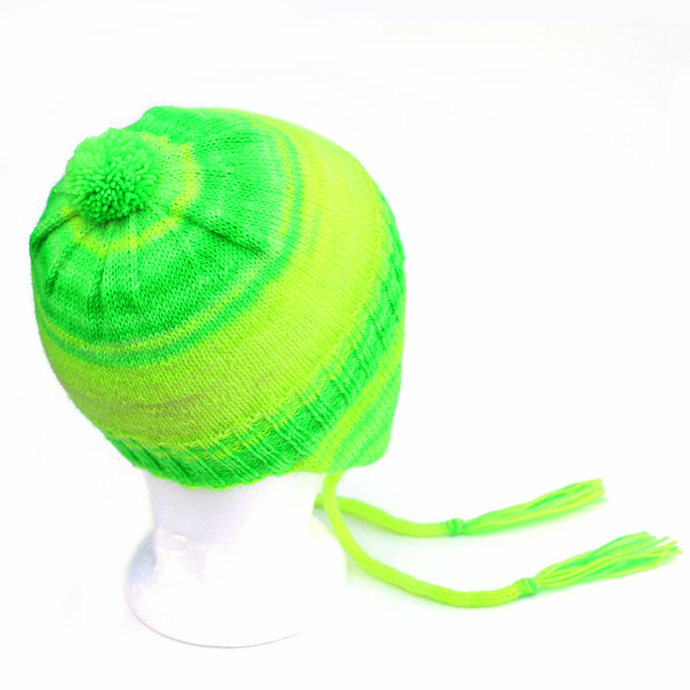 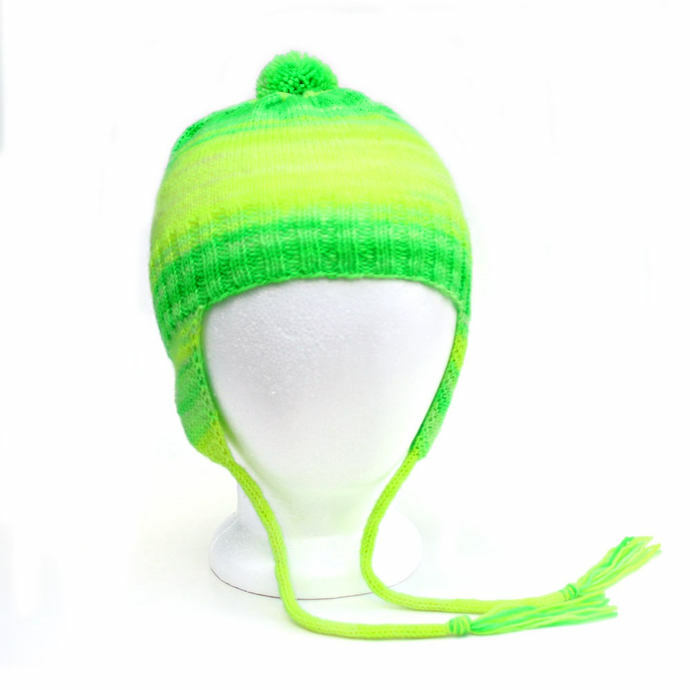 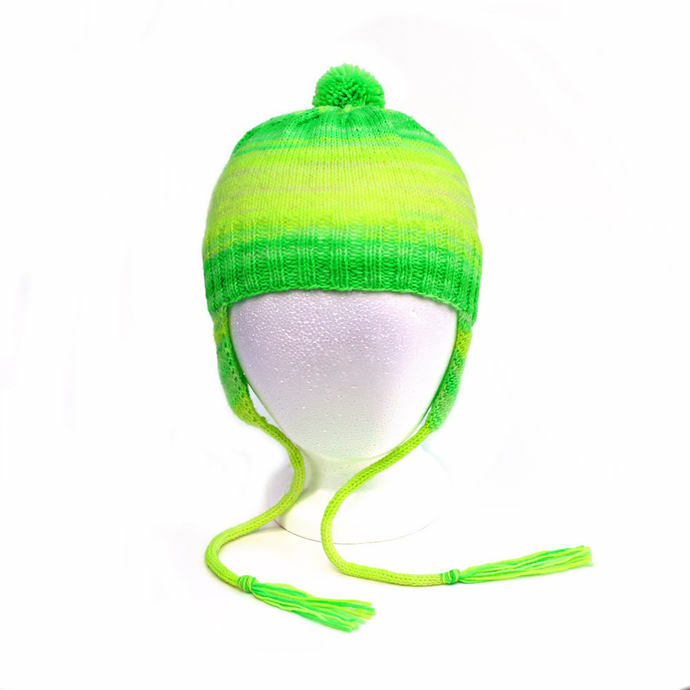 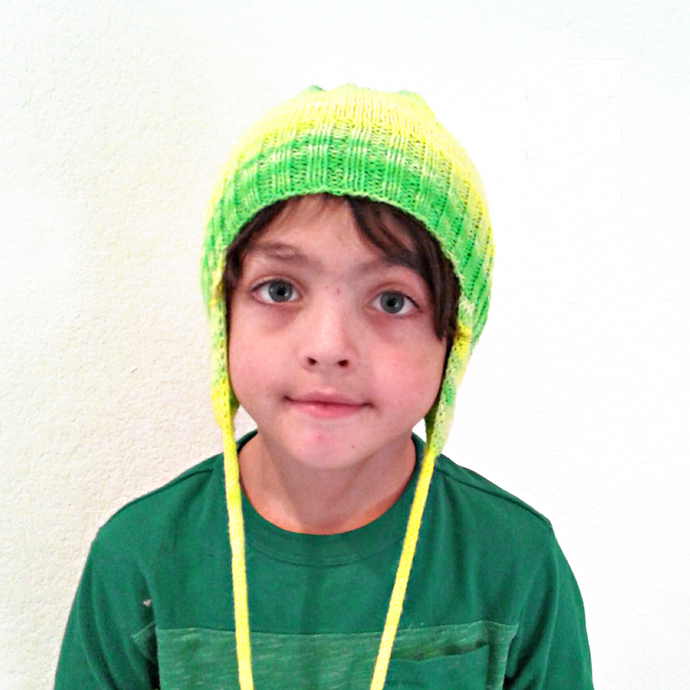 Child's ear flap hat in bright neon green superwash wool blend yarn is sized for a 2- to 6-year-old. 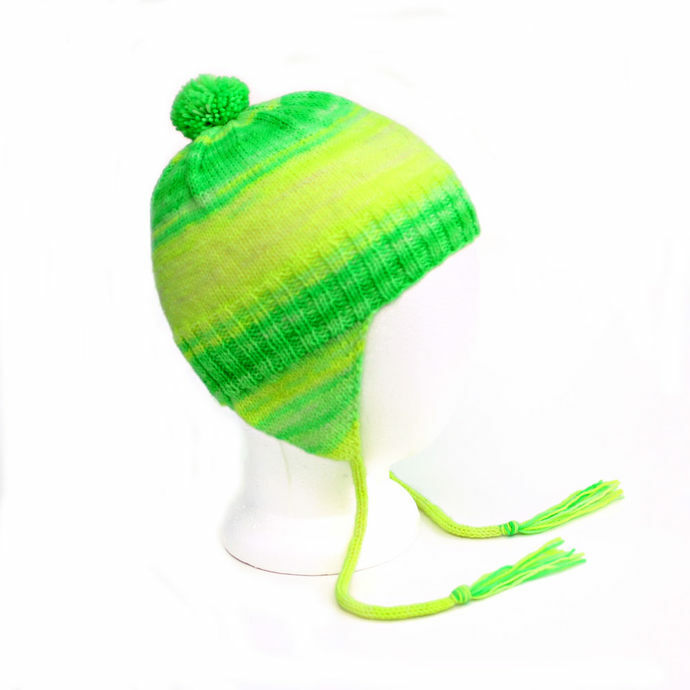 Hand knit in the Texas Hill Country from top quality, hard-wearing, four-ply yarn imported from Italy. 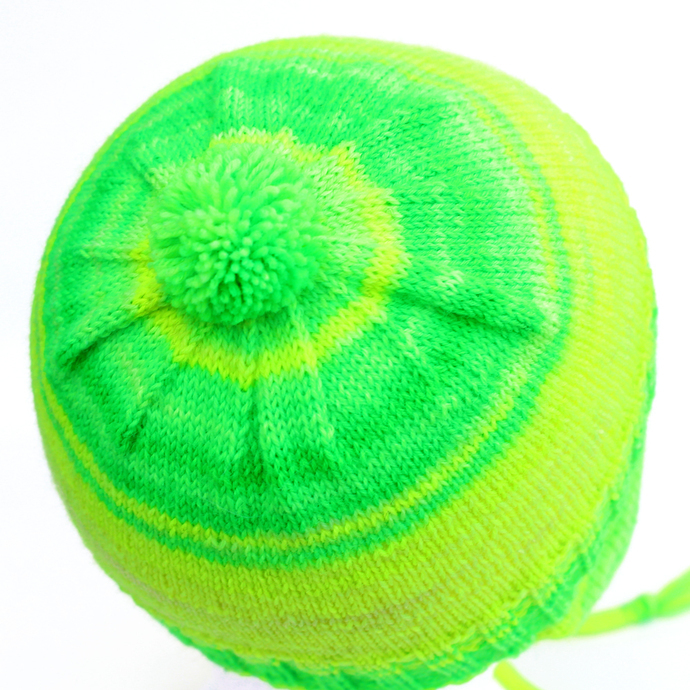 Top of crown is accented with a 2" (5.08 cm) diameter pompom. 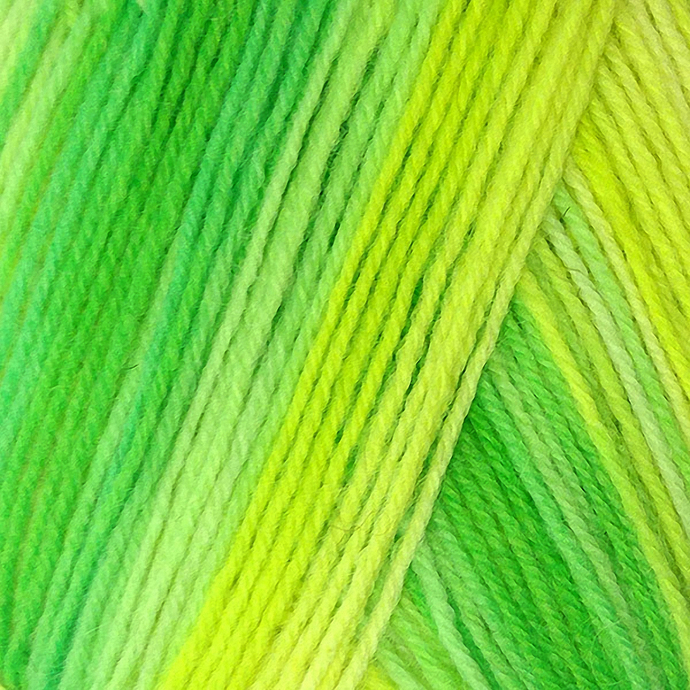 Non-felting 75% superwash wool and 25% polyamid.